Next Energy is one of the primary advisers to the Institute of Public Works Engineering Australasia (IPWEA) on its Street Lighting & Smart Controls Programme. The SLSC Programme involves high-level government and industry engagement, the development of robust model documentation, a comprehensive information and education programme as well as engagement with standards bodies. Next Energy led the development of a Model LED Public Lighting Specification for the SLSC. Graham Mawer is a member of the advisory SLSC Council created by IPWEA to help guide the work of the Programme. Since 2003, Graham Mawer has been Program Manager of the SSROC (Southern Sydney Regional Organisation of Councils) Street Lighting Improvement Program. Working on behalf of 30 councils in the Ausgrid region that spend about $67m a year on 240,000+ street lights, Graham Mawer leads the technology and maintenance negotiations with Ausgrid and represents the councils in regulatory pricing reviews. Thanks to the program, more than 87,000 energy efficient street lights have been installed to date. New technology agreements mean that Ausgrid now has one of the most energy efficient portfolio of new and replacement lighting in Australia (including one of the largest LED deployments to date). SSROC’s Street lighting Improvement Program was instrumental in the development of the NSW Public Lighting Code. It has secured dramatic improvements in fault reporting mechanisms, maintenance response times, preventive maintenance and information provision. Helping councils save millions of dollars, Next Energy has worked on three sets of street lighting pricing reviews in NSW for a number of groups of councils. In the last three pricing reviews by the Australian Energy Regulator, councils in the SSROC SLI Program secured outcomes that were more than $20m lower than the initial Ausgrid proposal each time. In 2014, Next Energy completed a major review of all 600,000 street lights in NSW for NSW Roads & Maritime Services. Working jointly with the Roads & Maritime Services’ GIS team, the utility street lighting inventories and GIS information about roadways were merged, allowing all NSW street lights eligible for the $20m+ in Traffic Route Lighting Subsidy Scheme (TRLSS) payments to be identified. Next Energy has understaken a number of subsequent street lighting assignments for RMS. 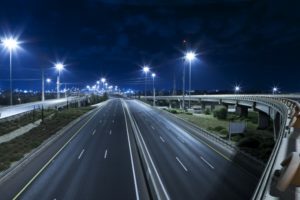 Next Energy led an LED lighting trial for Westlink M7, a private motorway in Western Sydney and then assisted in a subsequent tender. The project involved the replacement of 3,000 lights along a shared pathway that parallels the motorway for over 40km. More efficient lighting, improved security, lower maintenance burden and cost savings are just a few of the outcomes from this deployment. City of Darwin – Next Energy advised the City of Darwin on a wide range of street lighting matters related to transfer of lighting to council from the utility in January 2018. Next Energy was also an adviser to the City on its successful Smart Cities & Suburbs grant application to support a $10m multi-faceted smart cities deployment and is advising on the implementation of the project. Southern Lights Project – Next Energy is advising more than 40 regional NSW councils on the opportunities for a widespread upgrade of public lighting under the Southern Lights Project. This regional initiative was put together by REROC, CENTROC, CBRJO and RAMROC and aims to replace 75,000+ street lights with LEDs and smart controls as well as support other smart city initiatives of their members. City of Greater Geelong – Next Energy is advising Geelong on the opportunities for a widespread upgrade of public lighting. Campbelltown City Council – Next Energy is advising Campbelltown on the opportunities for a widespread upgrade of public lighting. City of Palmerston – Next Energy is advising the City of Palmerston on its upgrade of public lighting to LEDs and smart controls following the transfer of lighting to council from the utility in January 2018. North Sydney Council – Next Energy assisted with both the tender preparation and review of responses for the replacement of all CBD main road lighting with LEDs and smart controls. 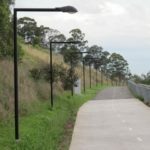 Sunshine Coast Council – In 2014, Next Energy was asked to undertake independent due diligence on the business case for a large Queensland council interested in resuming control of its street lighting and replacing up to 24,000 existing lights with LEDs. Next Energy was one of the primary technical advisors for SSROC’s last three joint electricity contracting tenders. The tenders for over 100,000 MWh/yr in retail electricity purchases included participation from 17 councils. They covered retail electricity for street lighting and large council sites, small sites, feed-in tariff arrangements and GreenPower purchases. Pricing secured is understood to be amongst the most competitive in NSW for any councils.